We at Zankyou love winter weddings. They can be incredibly romantic – particularly if you are lucky enough to get snow! – and for all of you out there on a budget, they are a great way to cut costs as they fall outside of the “peak wedding time” (which in the US, in most places, runs from May to September). And, of course, one of the best parts of having your wedding in winter is how close it will fall to Christmas. 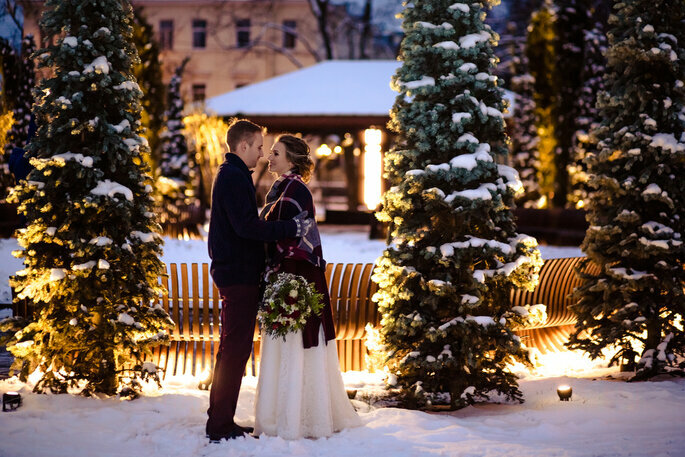 For everyone who celebrates it, Christmas truly is the most wonderful time of the year: despite the cold, everyone finds themselves inspired and excited about this magical season, and it is typically a time for family too – which corresponds perfectly with a wedding! Having a Christmas-themed wedding is the secret dream of many women who have grown up loving the festive season. However, like most themed weddings, the idea is considered by some to be trite, and many couples are put off doing what they would really love. However, we have your backs! We want you to have the perfect wedding that you’ve always wanted – so read on to discover how to organise the perfect Christmas wedding, without it being cliché! The key to organising a Christmas-themed wedding without making it cliché is subtlety. As a result, we would not recommend that you choose somewhere like Lapland as the destination venue for your big day (unless you are 100% committed to this idea!). 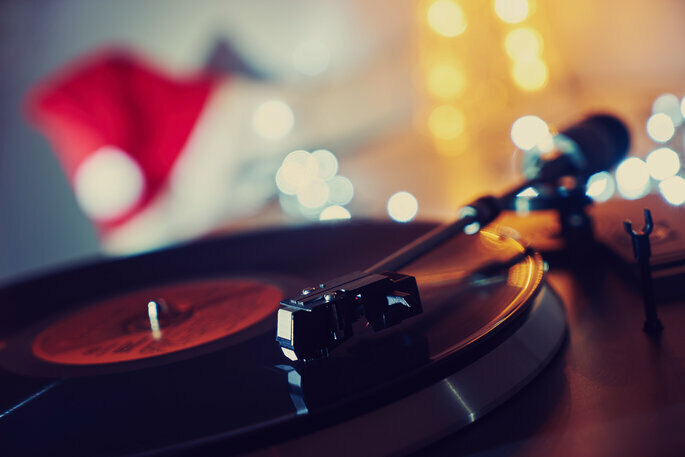 Instead, we would recommend you choose one of the following: a rustic venue where you can replicate the cozy-ness and warmth of the Christmas season, or an extravagant manor-type venue, that you can fill to the brim with decorations and people and create a festive, party atmosphere. 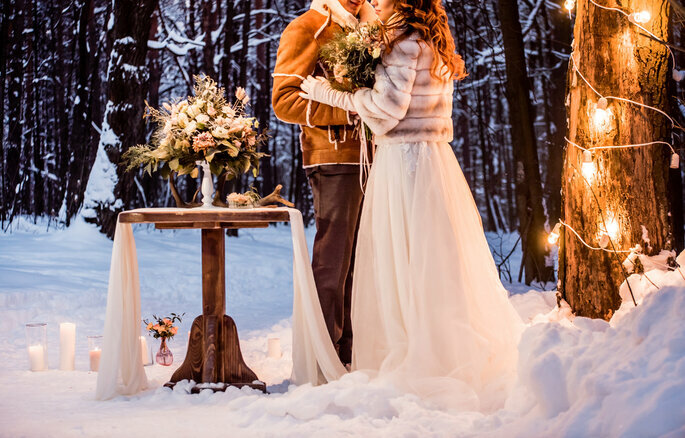 If you’re feeling very daring, you could even have your winter wedding outside! 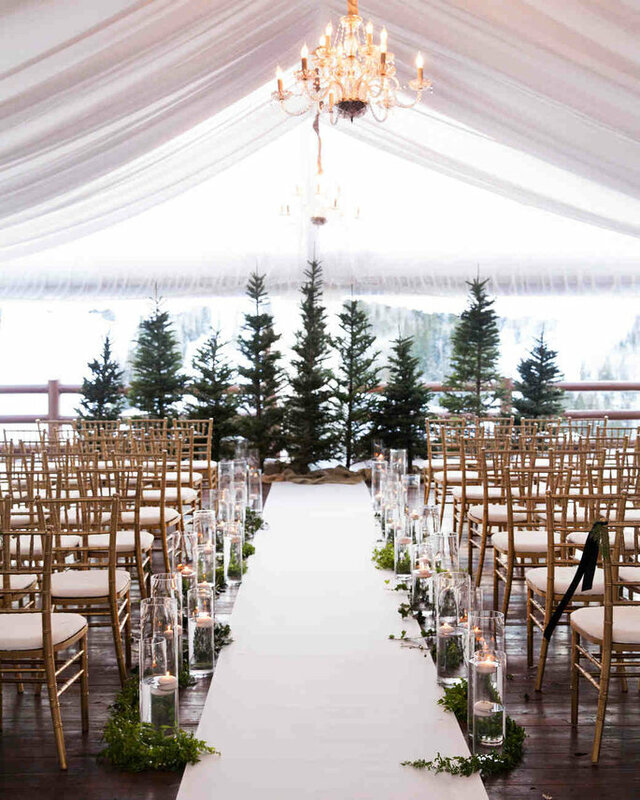 Your ceremony would need to be short – and your guests well informed of the arrangements beforehand – but a short wedding in the open air, with the snow falling around you, and within the beauty of nature (which is most emphasised and palpable at this time of year) would be instantly memorable. This is also the perfect occasion to indulge in some vintage fashion – perhaps you could try a silver mink coat (fake fur of course!)? However, under no circumstances should you hold a longer reception or after-party outside at this time of year! 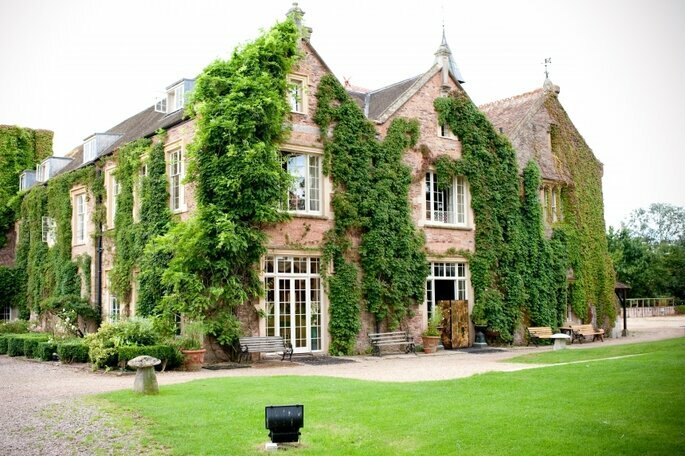 Head to a barn-venue or a luxurious Manor House for drinks and dancing instead. 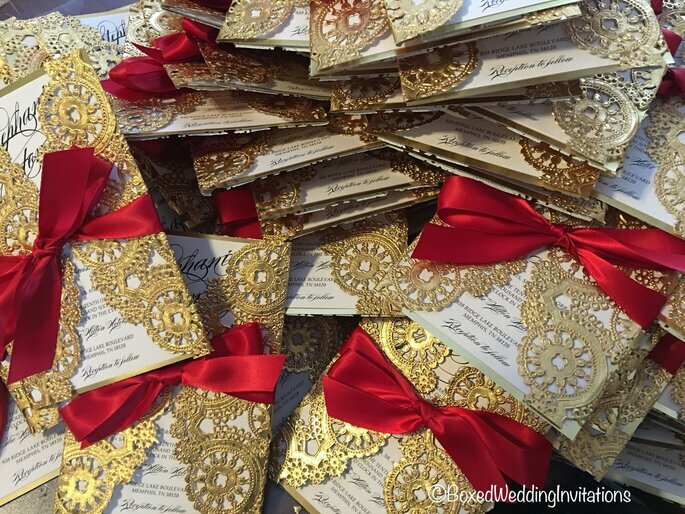 One of the best ways to let your guests in on the theme is via the invitations, which act as the principal indicator of the style and tone of your wedding day. 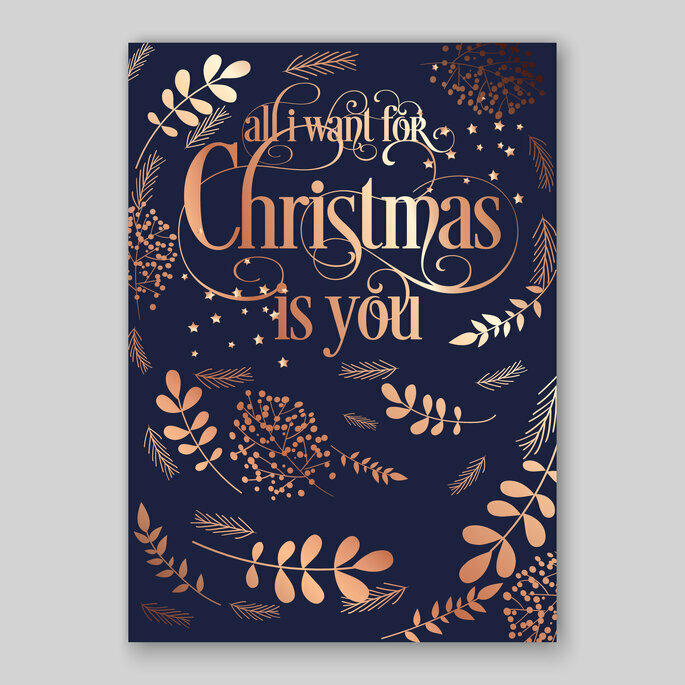 There are almost limitless possibilities when it comes to the design of your Christmas wedding invitation; you have to think about color, shape and just how much you want to give away! We’ve found some great examples of your choices, so take a look! If you’re on the former side of the “go hard or go home” mantra, then this wedding invite accompaniment is the perfect choice for you! 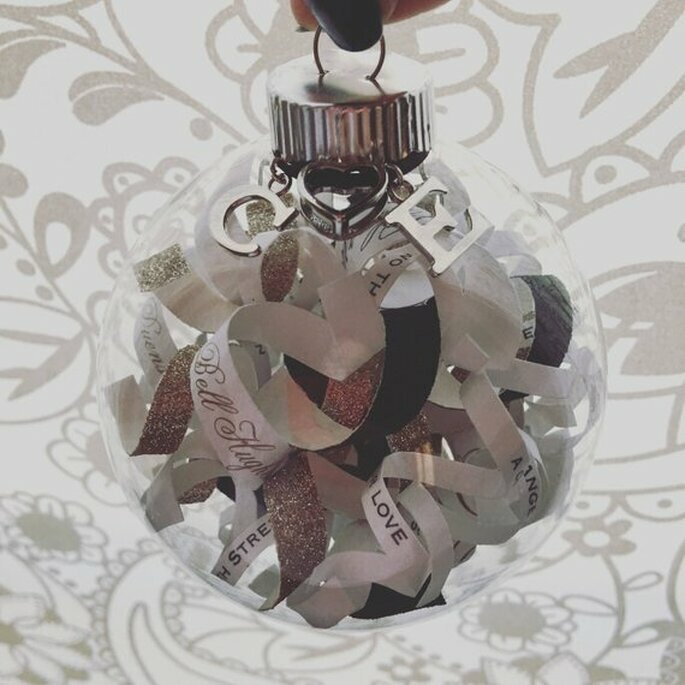 Alongside sending your wedding invitation in one piece, if you contact Ang Kenzie, they will transform it into an incredible glittery bauble for your guests to put on their tree. This will clue your guests in immediately, and is also a charming way to get them involved in the Christmas spirit! If you’re looking for a simpler or more minimalist option, then something in the style of the card above might work better for you. Adorned with a simple winter-vegetation pattern that is not too “in your face”, and with a sweet message that reflects Christmas and your love, we love this style of invitation! Boxed Wedding Invitations provide completely personalised wedding invitations, and can be as bold or extravagant as you desire. If you’re looking for a more classical Christmas look on your invites, then try using the traditional colours of the season – red and gold. The best colors you can choose for a Christmas wedding are deep, rich palettes. As aforementioned, the traditional colors for this season are red and gold, so consider trading in the traditional white dress for something a little more unique! 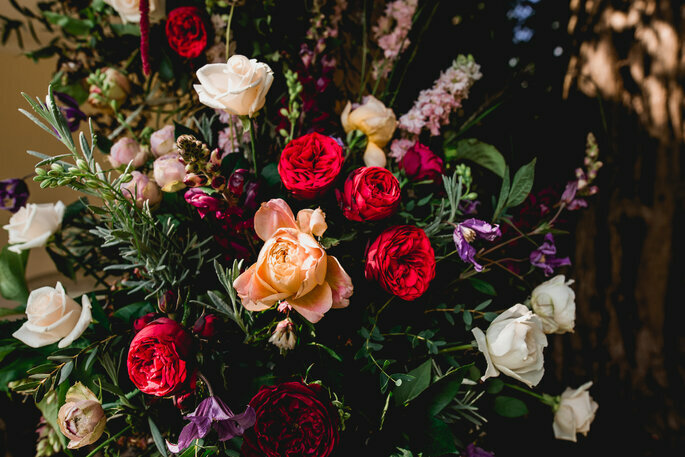 However, if you’re not ready to let go of being a “vision in white“, then you can include bold reds, shining golds, and emerald greens within your floral arrangements, bouquet and cake. It’s all about bringing nature inside, and creating an inviting and intimate atmosphere for your guests. Including seasonal fruits, particularly red berries such as blackberries and blueberries, on your wedding cake will really emphasise the Christmas theme. 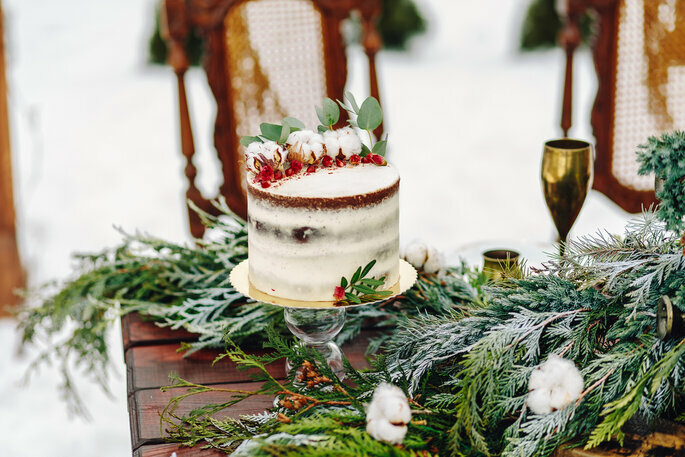 Naked cakes are also a fantastic idea as they fit in with the rustic theme that you are emulating through your use of gold, red and green. However, if you feel that using too many bold colors could be perceived as “gaudy”, then you could go for the opposite and use a completely pastel palette based around whites, ice blues and pale greens. This perfectly reflects the winter season, and creates a more open and light atmosphere for your guests. If you’re having a smaller wedding, this can help to create an illusion of space, whilst also being incredibly chic! If you’re a more traditional bride, then using whites and pale pastel colors for your Christmas wedding will be more attuned to your personal tastes. Remember that many flowers are out of season at this time of year – but gardenias, lillies and white roses are all available for a gorgeous white-infused bouquet. The one thing that will probably not be overly affected by having a Christmas-themed wedding is your dress. 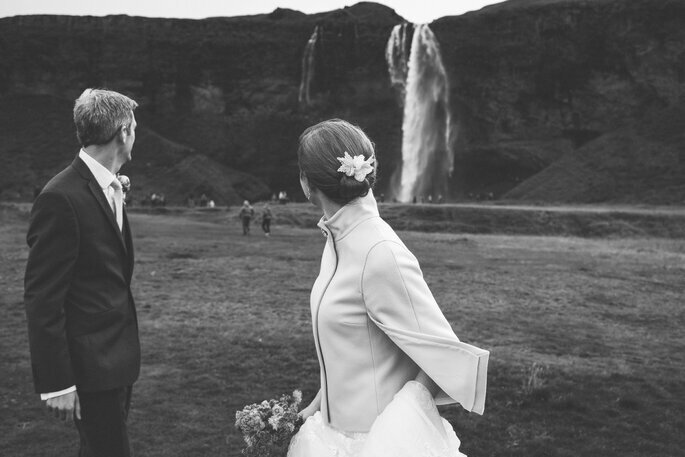 Unless you are getting married outdoors – in which case we would recommend a dress with a voluminous skirt (for insulation!) or with long sleeves – then you should feel free to choose whatever style you would like. 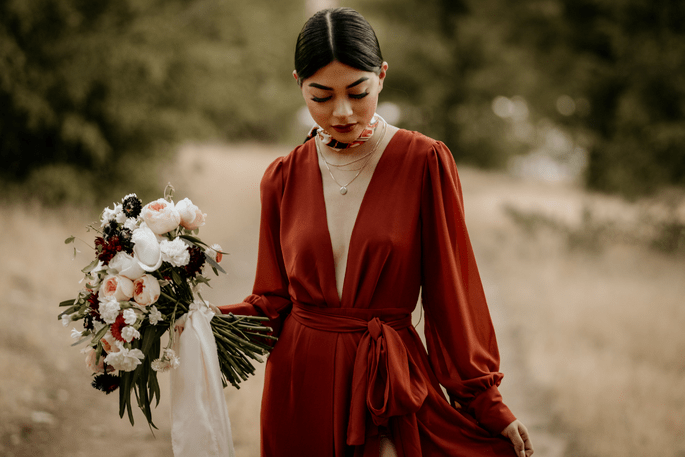 For winter 2019, we would definitely recommend taking a closer look at Monique Lhuillier or Mira Zwillinger’s new collections – they’re absolutely stunning! Choosing your accessories for your Christmas wedding is also a relatively simple task. 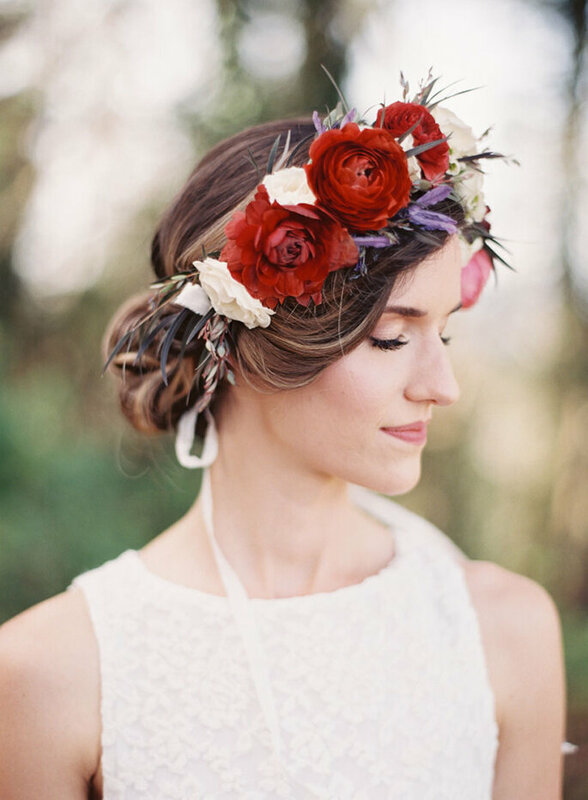 We recommend that you stick to more modest jewelry and accessories in order to not detract from the surroundings – however, white or red flower crowns would look incredible! 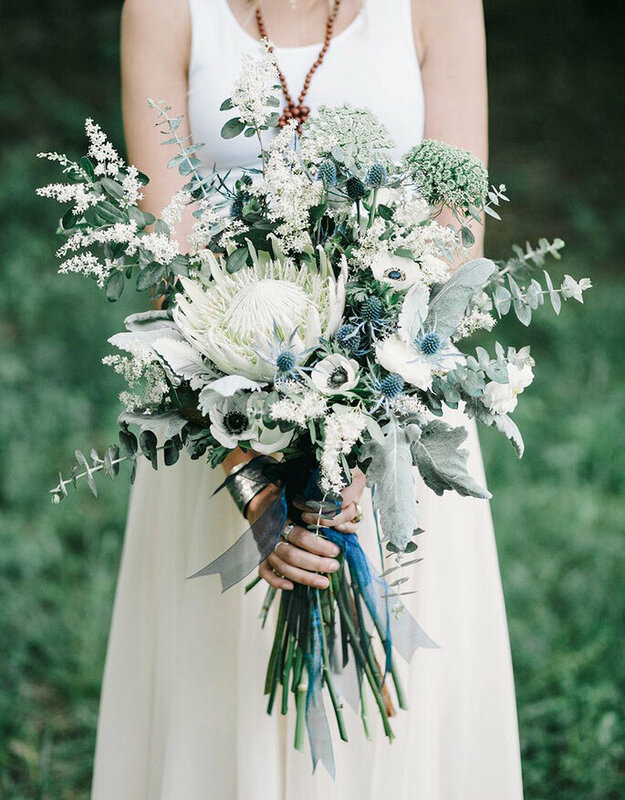 When it comes to winter weddings in general, the more flowers the better! 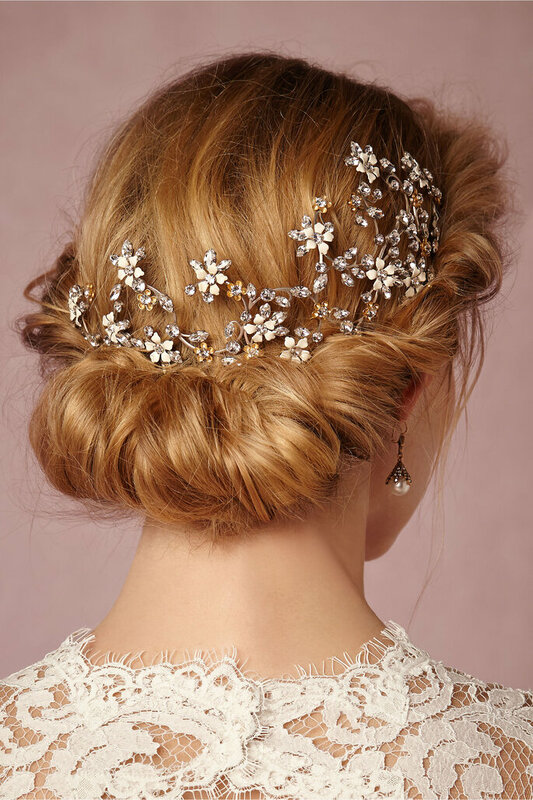 And if you’re not a fan of flower crowns, then you could replicate this floral theme using a silver crown or hairpiece – you’ll look like an elegant winter bride. The best opportunity that a Christmas themed wedding presents is coats. As we said earlier, this is a great time to experiment accessorizing your dress with a fake-mink coat, which always look incredibly luxurious, and very stylish – or you could wear a cape overlay, for a traditional look. As for shoes, if you’re having your perfect Christmas wedding ceremony outside, then make sure you wear something sensible for the ceremony – but for the reception, style up your look with a pair of coloured heels! Even if you’re sticking to a pastel color palette, a pair of red or green heels would be a fantastic addition to your bridal look. This is the part of the wedding where you really get to play around with the Christmas theme! 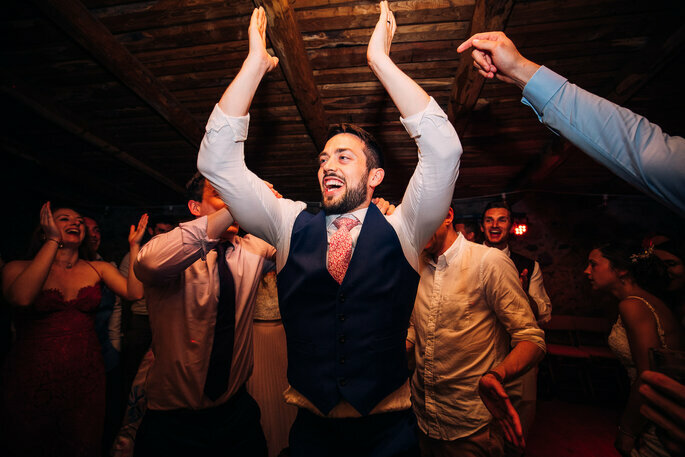 This is where you can stop being subtle, and make it very clear that you’ve been inspired by the most wonderful time of the year – and that your wedding is a truly special occasion because of it! 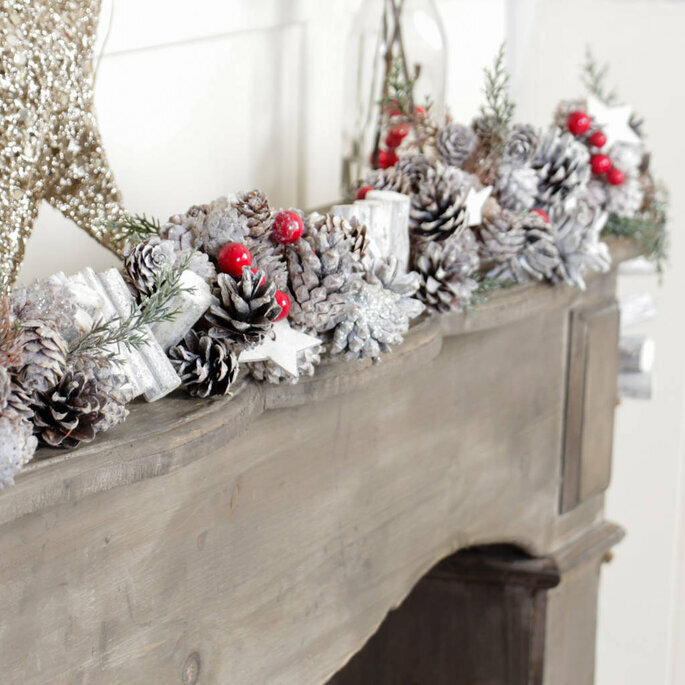 This can extend from using Christmas-themed bunting to purchasing holly wreaths to hang on the doors of the venue, and hanging mistletoe too. Dibor offers a fantastic online selection of garlands that would be the perfect fit for your big day! 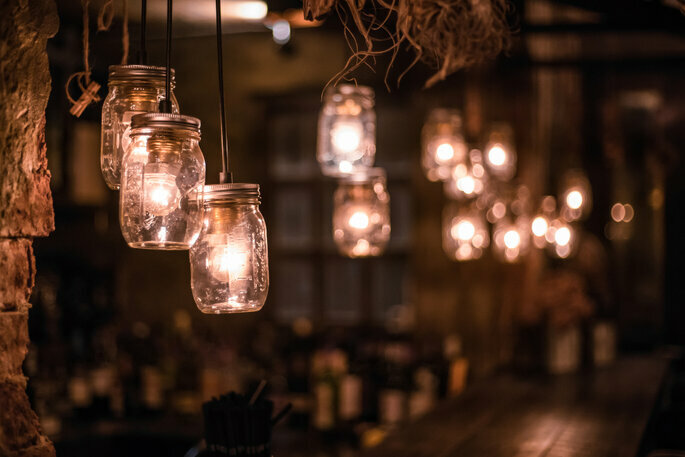 In terms of lighting, allow yourself to be guided by the rustic theme. 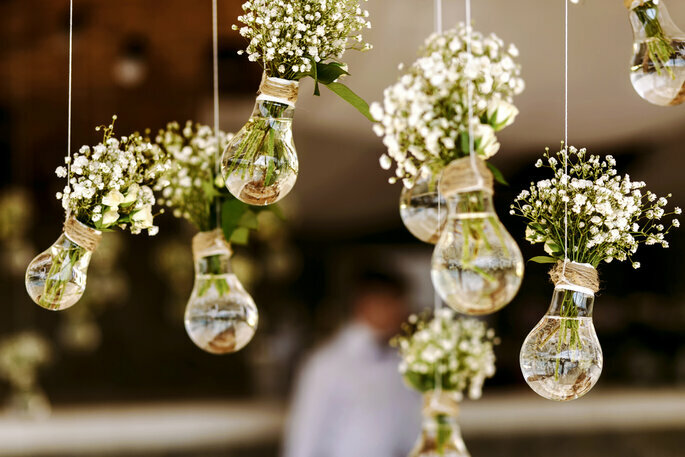 Go for glass jars with lights inside them, use silver candelabras for centerpieces, and adorn the entire venue with fairylights. Something that could be a lovely touch is having your reception by candelight. The evening settles in very early at this time of year, so it is likely that you will need to illuminate the place by artificial means – so do it in style, and create that warm atmosphere again by using candles and other smaller sources. And of course, the pièce de résistance of your themed wedding will be the use of a Christmas tree at your ceremony or reception. Use several smaller ones and dot them around the venue for a more casual appearance, or put your cards on the table and buy a huge one to become the centrepiece of the entire reception. You may need to hire a small decorating team to help you with all of this, but it will be worth it! And don’t forget the little extra details – glitter, tinsel, and for a nice touch for the kids, you could scatter the traditional Christmas sweets around on the tables and mantelpieces. Scrap your boring three-course menu and introduce our favourite Christmas dishes instead! 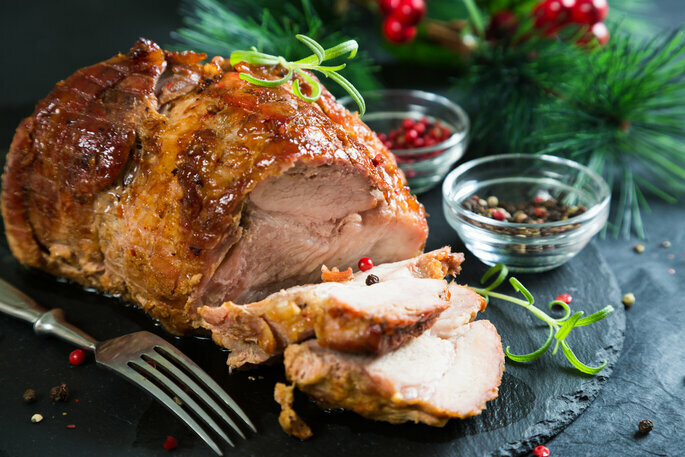 Turkey, hams and duck are all on the table with regard to meat, and our favourite sides such as pigs in blankets, bacon-wrapped asparagus, goose-fat roast potatoes and brussels are all widely available at this time of year, and will really get your guests in the mood for the season. For an extra special touch, order small wedding favors – such as sweets or bath salts – and have them put into personalized crackers to surprise your friends and family! 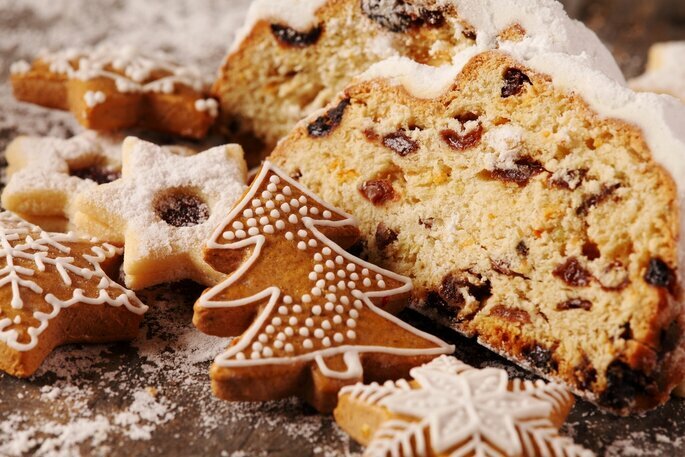 Sweet treats are one of the best parts of Christmas, and you’ll really be able to enjoy them at your wedding – particularly if you have done what 70% of women admit to doing, and have dieted for your big day. 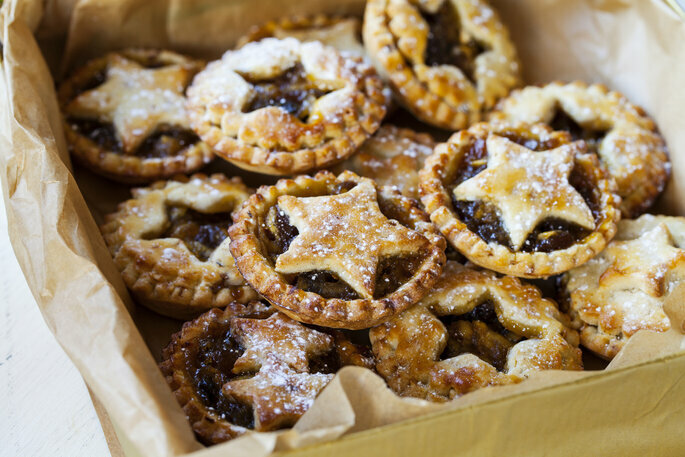 These are not just great for the kids, but also for the adults – a welcome change from the traditional fruit tart that is served at weddings, gingerbread men and mince pies add a flavour of Christmas, as well as a flavour of fun! Drinks can also be themed for your wedding. 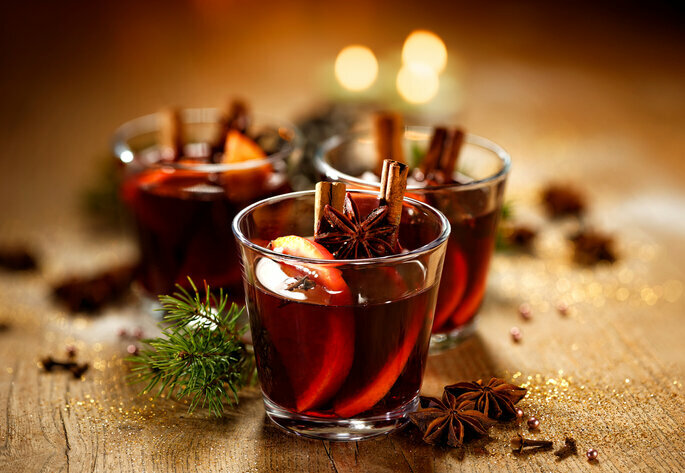 Mulled wine is an absolute must for a Christmas wedding – and will help to keep all of your guests feeling warm and content at the reception. Beyond this, you can serve a variety of drinks – we would recommend whiskies, ports and spiced rum for the adults, and hot chocolate for the kids and designated drivers. The most important part of organising your Christmas wedding is planning well! There is a whole world of opportunities available to you with this theme, and you want to make sure that you take advantage of it. 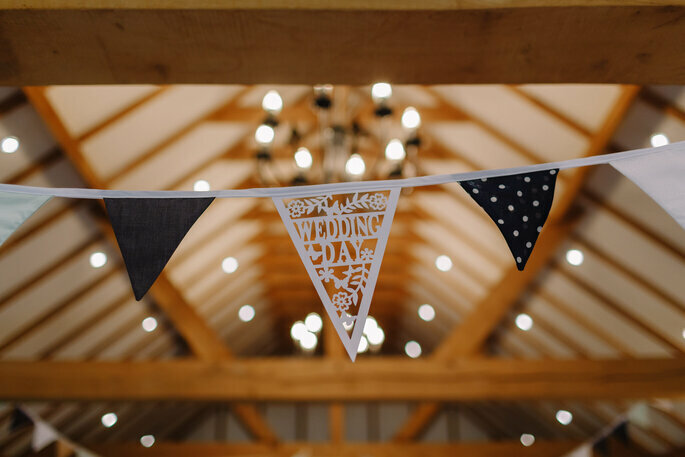 We would definitely recommend that you consult with a wedding planner, but if not all the very best – we hope your wedding is festive, magical and full of joy! Is It More Romantic to Get Married in Winter?